Top 100 ranked genes by MAD. 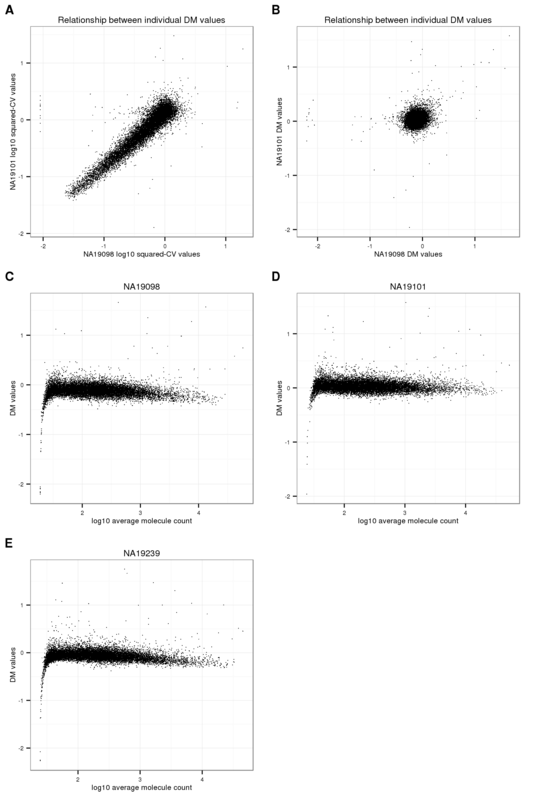 Preliminary investigation into expression noise at the transcriptional level. We looked at expression noise across all the cells, including the cells that were not detected (i.e., count = 0) in the experiment. The investigatino begins with coefficeint of variation - a popular measure for quantifying variation in the data. Computation of CV: We were interested in the variation in our batch-corrected data. But since these data are log2-transformed counts. We take 2 to the power of log-transformed counts and then compute the CV based on these corrected counts. Corrected CV: Because in sequencing data, CVs are confounded with abundance levels, we performed a calculation that transformed each CV into a measure of deviation from the median of the CVs from the genes of similar abudance levels. 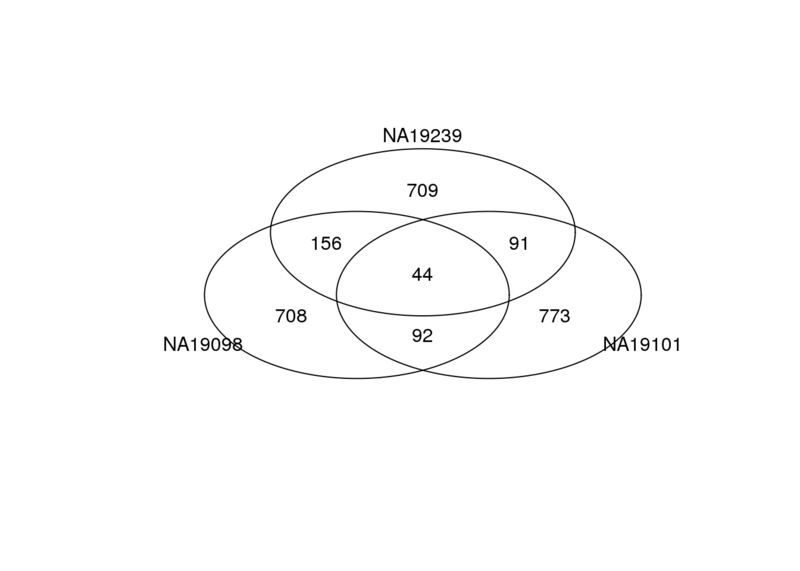 Input annotation of only QC-filtered single cells, with NA19098.r2 removed. Import molecule counts after filtering and before any correction. Import final processed molecule counts of endogeneous genes. 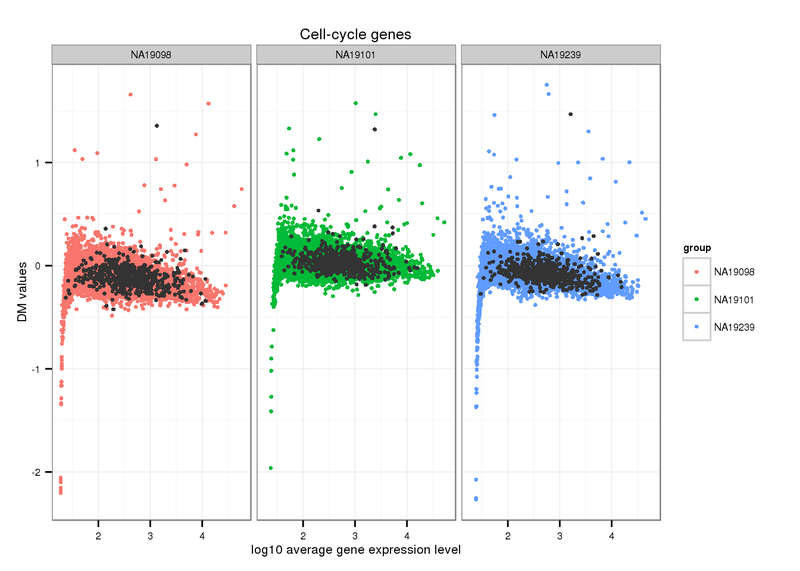 Import cell cycle and pluripotency genes. Compute Squared CVs corresponding to rolling medians of gene expression levels, deviation of adjusted CVs. Supplemenetal for the Methods section. Top 1000 genes based on DM. Bottom 1000 genes based on DM. Top 1000 genes based on Means. 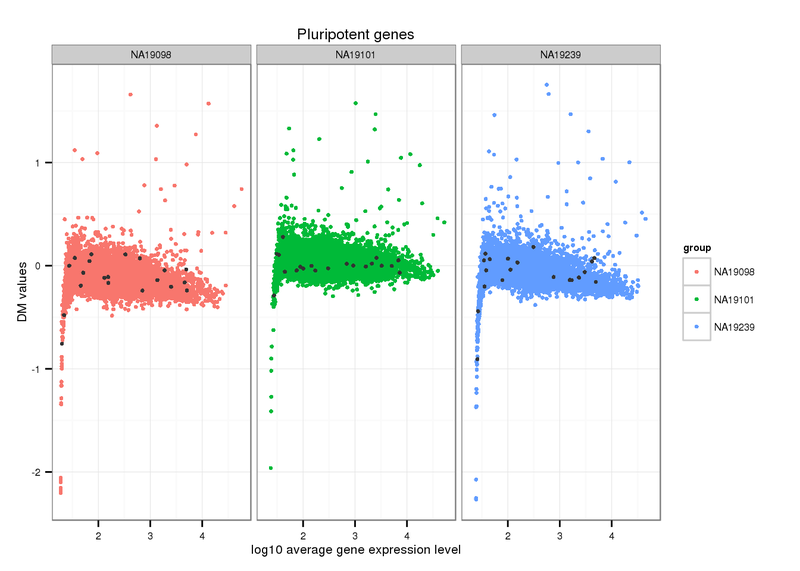 Mark top ranked genes based on individual DM values. Top 100 genes based on DM. Bottom 100 genes based on DM. Top 100 genes based on Means. 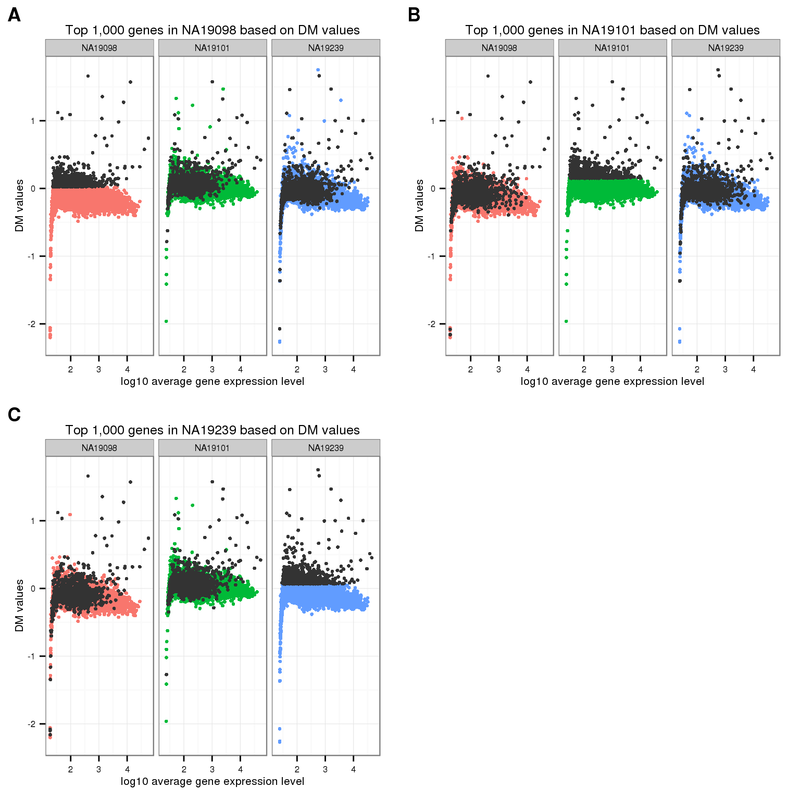 Analyze top 1,000 genes in DM values. We found no significant GO terms in PANTHER database. 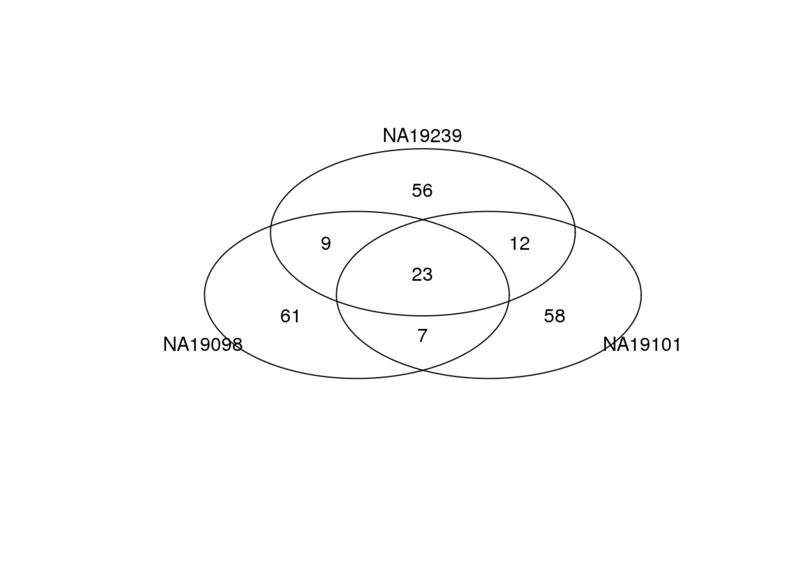 Not yet figured out how to get genes associated with each sig. GO terms. ConsensusPATHDB-Human was used to perform GO over-representation analysis. *Why is there so many more GO terms in NA19239 than the other two individuals? Compute median of absolute deviations (MAD) to quantify dissimilarity of the individual DM meausres. "extracellular space"           "ErbB-2 class receptor binding"